Tagaytay City is a good place for a quick getaway from the hustle and bustle of Metro Manila especially so since SM Land opened Sky Ranch and Sky Eye last March 2, 2013. 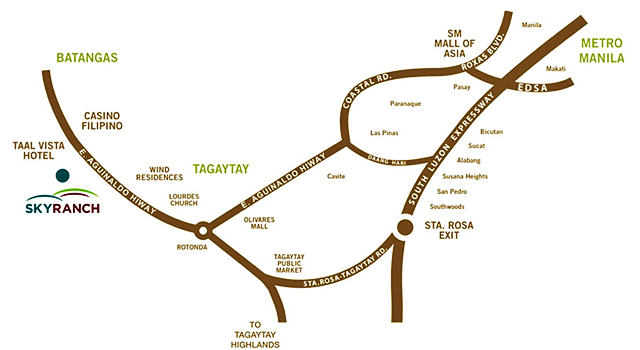 Tagaytay City is very accessible via public transport. If you take the FX, you can ask the driver to drop you off at Olivarez Plaza or Tagaytay Rotonda. how about going back to manila is there a FX van? @Floyd Jan Dico Buses en-route to Manila can be found in Olivarez area. Just along the Hi-way.